Choose from a large selection of security system brands that include some of the industry’s best including Ademco and Honeywell. 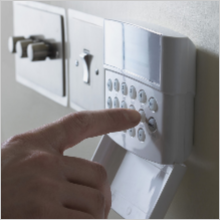 Have your alarm system installed, serviced, and monitored today by J & R Telecom. Recommend alarm systems that suit your specific needs; whether it is for your home or business. 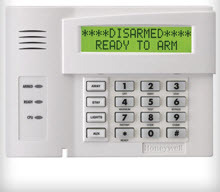 Service existing alarms for upgrades or additions to your alarm system. Use GSM Total Connect services for Ademco Alarm Panels. Provide reliable alarm monitoring services that keep you connected with the central station 24 hours a day, 7 days a week. When it comes to your home or business, a crucial aspect of security includes access control in areas where limited access is necessary. It allows facilities to manage who can enter an area for an additional lay of protection. Whether your preference is proxy readers, number key pads, or controlling locks, purchase and have your access control system installed today.